“Compassion. Fear. Instinct. They will always interfere with the system.” There are words spoken by Gary Oldman’s Dr. Dennett Norton in José Padilha’s upcoming remake of the sci-fi classic Robocop. I’m not sure where compassion fits in, but fear and instinct seem to be the two motivating factors guiding the decisions of Hollywood producers, who are always quick to use a gimmick when a film doesn’t seem capable of standing up on its own two legs. Case in pioint, The Hollywood Reporter has announced that MGM and Sony Pictures Entertainment have made a deal with IMAX for Robocop to be released on the big big screen when it hits theaters next February. I don’t think anyone is surprised by this news, given IMAX releases are no longer the rare treat they once were. It seems like nearly every movie with guns and an explosion in it is making the transition, keeping Hollywood films in IMAX theaters on a year-round basis. “José Padilha has re-imagined this story in an exciting new way and we're thrilled to partner with MGM and Sony to bring it to audiences worldwide in the most immersive format, IMAX," said IMAX CEO Greg Foster, who probably has a stack of pre-written statements ready to go for just about any film currently in production. The cityscape shots and the Robo-vision could be cool in IMAX, but that's not going to be the bulk of the movie. From the preview his doesn’t look like a very immersive world we’re being brought into. My simplistic theory is Sony, MGM and Padilha all listened to the incessant internet ranting that immediately followed the premiere of both the trailer and the first poster, and they figured they’d better hedge their box office bets and try to snag as much money as possible from audiences. Or maybe that was their goal before the film was even finished. Either way, it’s still seems like a money grab rather than a “we want everyone to see our film in the best possible format” scenario. 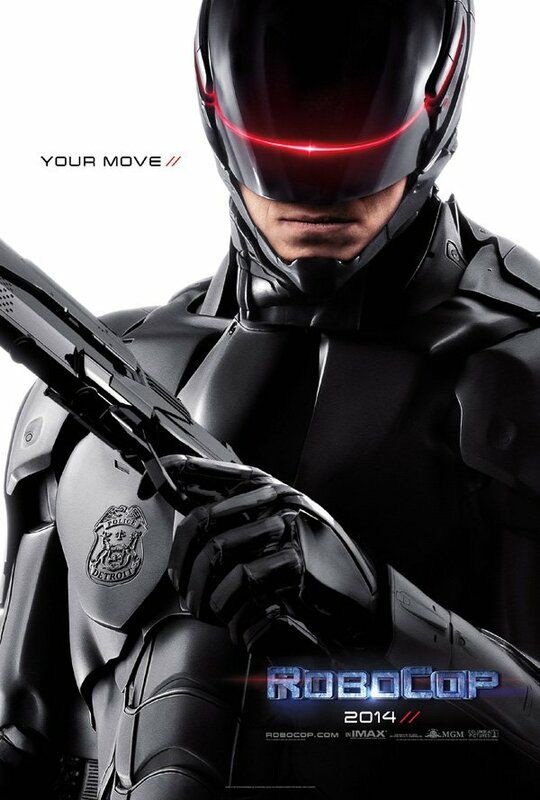 You can catch Robocop on the screen size of your choosing when the film is released on February 7, 2014. Personally, I think I’ll probably still be reeling from the IMAX release of Gravity.